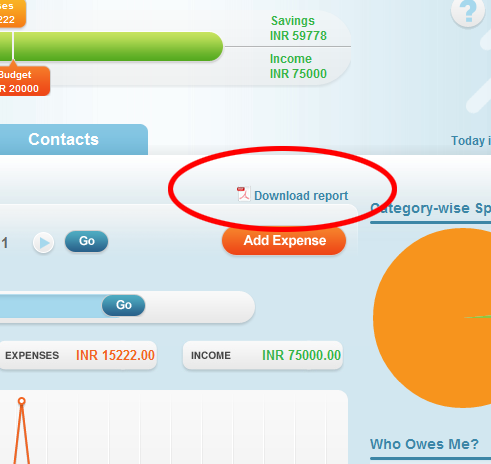 You can now download your financial report by clicking on the download report icon in your Track Every Coin account. The complete expense and income data for the selected date range. You can also search by description or category and generate report for it. Eg: Search for all your tax saving expenses, generate a report and submit it to your Auditor. You can also generate report for a selected date range. Eg: If you are on a business trip, you can select your date range of the trip and generate report accordingly. Do comment about this feature. is there an easy way to export the data into CSV or excel? We currently do not have any way to export to CSV or excel. We will add this in future. Excellent tool, the best expense manager! Please add CSV export as soon as possible. Thanks Alex for your appreciation. We are working on CSV export. the TEC is so good and thanks. can u get me solve on this in “TEC”. Thanks for the feedback. It means a lot to us. Your feedback is great and we have noted this down. We will implement this in future. sorry- please tell me where I see the print option … cannot locate it in my file. Download of report is available only one the web login. Please login at Track Every Coin and goto expense tab or income tab. Select your date range click on “Go”. After this click on “Download report” to download the selected date range report. Hi Vikram, Thanks for this online tool. I have been using another mobile software that works excellently. I would like to know if I can import the details (in excel or CSV format)from that software to TEC? Thanks for contacting us. We currently do not have the import from excel. We will be implementing both import and export to excel going forward. Thanks for your feedback. Export to excel is in our roadmap and we will be implementing it in the future.